1. When May I Begin My Lien Sale? If your lien is for automobile dealer, repair shop, wrecker service, or for some other reason, you are required to start your lien process 7 days after the vehicle has been in your possession or repair work has been completed. Our processing time is around 6 – 8 weeks, Typically, you will have 10 – 20 days storage fees on any notification we send to the owners / lien holders. Storage will continue each day until the vehicle is paid and picked up. If you hold the vehicle and file it unclaimed later, you will only be able to charge storage once the vehicle is reported as unclaimed to the State DOR. 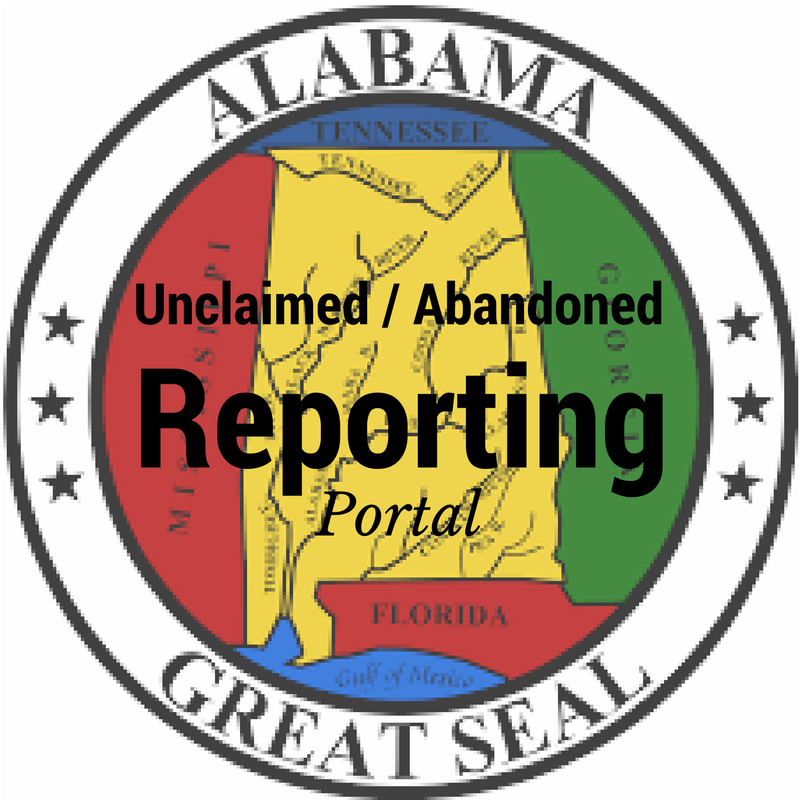 New Alabama abandoned guidelines go into effect July 01, 2016. Storage fees may not be assessed unless the unclaimed vehicle is reported to the State DOR within five (5) calendar days of the date the vehicle becomes unclaimed. o A motor vehicle left unattended on a public road or highway for more than 48 hours. o A motor vehicle, not left on private property for repairs that has remained on private or other public property for a period of more than 48 hours without the consent of the owner or lessee of the property. o A motor vehicle, left on private property for repairs, that has not been reclaimed within 48 hours from the latter of either the date the repairs were completed or the agreed upon redemption date. 2. How much storage should I charge? Storage rates are not regulated by the State of Alabama. If you are a business who makes it a practice to regularly store vehicles, your daily storage rate should be clearly posted within your customer’s view. 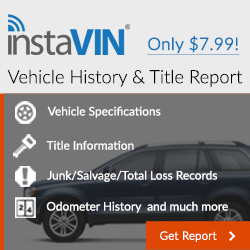 A lien sale will typically provide you with 7 days at your posted storage rate, if the vehicle has been reported unclaimed to the State Department of Revenue within 7 days, full storage charges can be enforced and continue until the vehicle is paid and picked up by the owner or lien holder. 3. What if the owner / lien holder pays and picks up the vehicle? 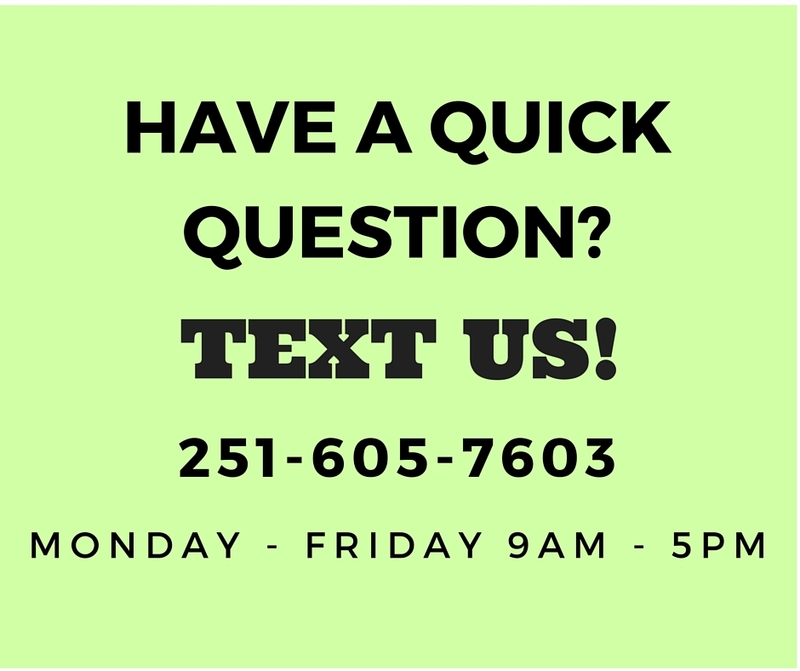 After the vehicle has been reported unclaimed to the State Department of Revenue and you collect and release the vehicle to the owner or lien holder, you MUST report it to us, we’ll need to report the vehicle as picked up to the State Department of Revenue, within 5 days. Be sure to collect our fee, you will still be responsible for paying us. 4. Can someone stop my lien sale? YES. Any person known to have an interest in the vehicle may stop your lien by filing a Application of Appeal for the Unclaimed Motor Vehicle with the Alabama Tax Tribunal (subsection (a) of Section 40 -2A-8 Code of Alabama) or circuit court of the county of which the vehicle is to be sold within the time frame allowed by law (Typically within 10 days of the Lien Sale date.) The rights of the owner/lienholder of the Unclaimed Motor Vehicle is (and must) be included with the Notice of Possession and Lien Sale we mail to all Registered Owners, Legal Owners and Interested Parties. 5. What if someone stops (or opposes) my lien sale? If application for hearing is made by the owner, secured parties, or lienholders, then all such persons shall be joined as parties and the judge of the Alabama Tax Tribunal or circuit court shall conduct a hearing to determine if the vehicle is an abandoned vehicle as defined by the Code of Alabama 32-13, and should be sold in the manner prescribed therein. The vehicle shall not be sold pending the decision by the Alabama Tax Tribunal or circuit court judge. 6. What if my customer pays part of their bill? 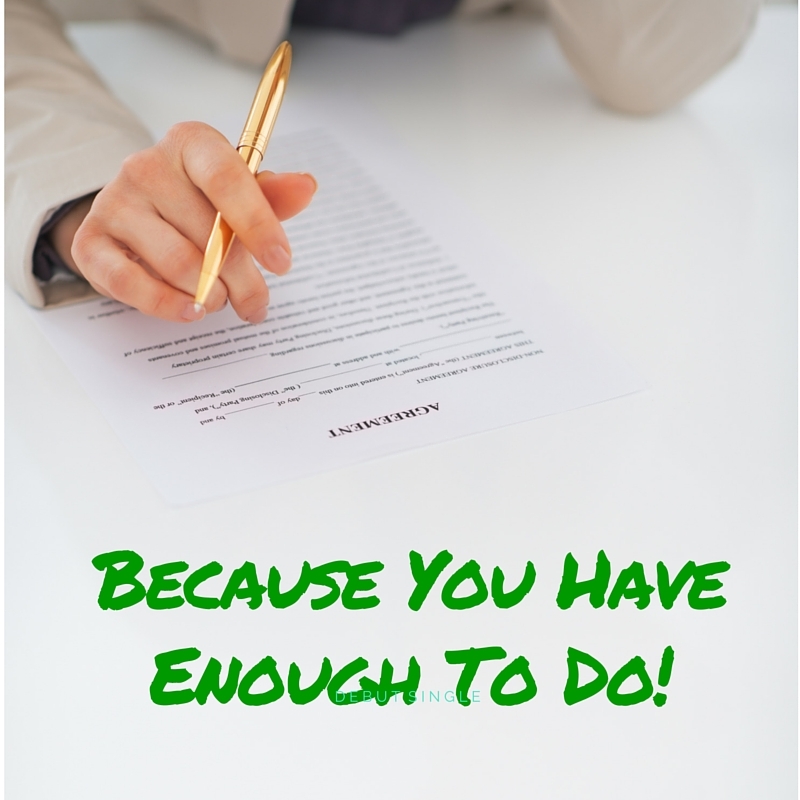 Accepting any amount of money from your customer will invalidate your lien! Once you accept any money towards from your customer, the lien sale is cancelled. 7. What happens after the lien sale? Once the vehicle has been sold, contact us with the Buyer’s name and address, we will be able to print the Bill of Sale for you to give to your buyer. Your buyer will take the Bill of Sale to their local tag issuing office to transfer ownership and purchase a tag. 8. What if I sell the vehicle for more than I’m owed? The Alabama Tag Issuing Office shall retain the remaining balance of the proceeds of such sale for a period of 12 months, and if no claim has been filed against such proceeds by the owner of the abandoned motor vehicle or any interested party, then he shall pay such remaining balance as follows:(1) If the abandoned motor vehicle came into the possession of the person making such sale other than at the request of a peace officer, the proceeds of the sale shall be divided equally and paid to the general fund of the county in which the sale was made, to the general fund of the municipality, if any, in which the sale was made and to the General Fund of the County. 9. I’m not an auctioneer! What do I do on the day of sale? A lien sale is a public sale and anyone with an interest, including the general public or those claiming an interest in the vehicle, are welcome to attend and bid on the vehicle. Bidding generally starts at what is owed and sealed bids are not allowed. You have the right to reject any and all bids if the amount bid be unreasonably low, and shall have the right to continue the sale from time to time if no bidders are present. In most cases, you will already have the vehicle sold. Once the vehicle is sold, contact us with the Buyer’s name and address, we will be able to print the Bill of Sale for you to give to your buyer. Your buyer will take the Bill of Sale to their local tag issuing office to transfer ownership and purchase a tag. 10. 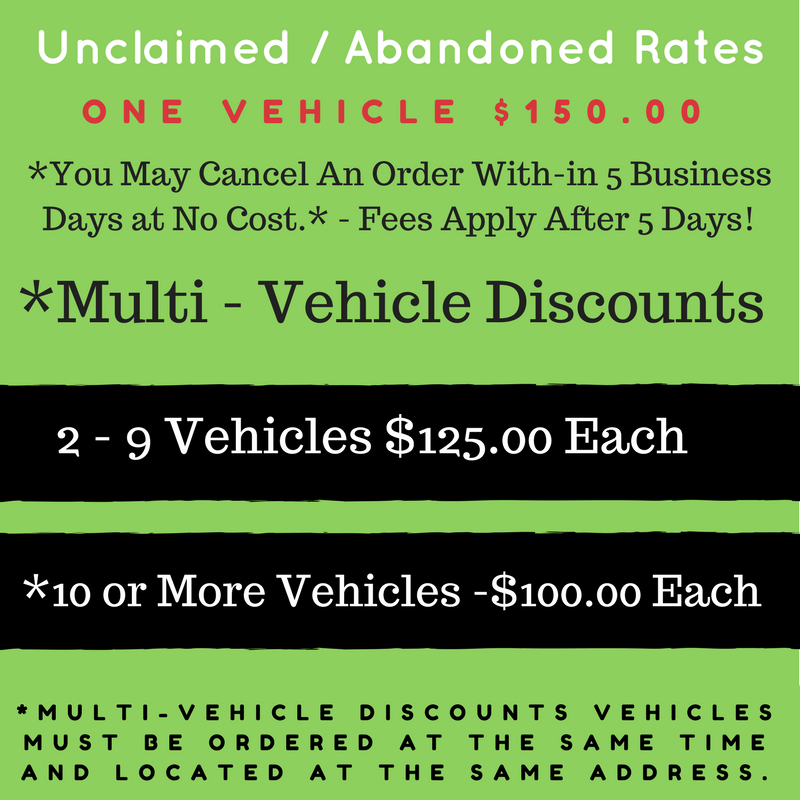 Selling abandoned vehicles to out-of-state buyers. If you plan to or have a buyer in another State, It is recommended, that you title the vehicle in your name first and get an Alabama title. Once you received the Alabama title, you can sign it over to your out-of-state buyer with a generic bill of sale.